I don’t want to quote Dr. King for a few days and then drop it. Or appear to drop it. Our move to Alabama has been refreshing in that I’ve been able to join things in motion that are working hard to connect black and white congregations and it has brought us some precious friendships among black pastors. So, even when I’m not “posting” things, I am doing things that challenge my own life. I follow an up and coming scholar named Jemar Tisby on his podcast “Pass the Mic”, along with Tyler Burns. 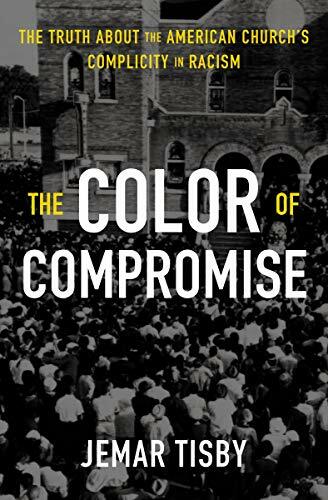 Jemar’s new book, The Color of Compromise, came out this week. It is a challenging book. It is also a refreshing book. He lays out the historical base for the complicity of the white church on the subject of racism. There is very little that is new to me, but his overview is a good one and worth reading. We need that challenge. But it is a refreshing book because Jemar doesn’t stop with the hard news. He gives ideas to keep working toward knowing the black community and being a part of something spectacular that can bring both church communities back together. They are challenging ideas, but we need this challenge. The Gospel Coalition website put out a review on Jemar’s new book, which was actually a decent review. They posted a link to it on Twitter. So… it’s not enough. And I’m not done. I’m tired of being in a conversation and issues of racism come up and I hear another Christian almost spit out the words “social justice” like they’re cursing. I’m tired of the lack of will in the American Church to try and shove past our tidy little echo chambers. We easily slip into our binary (either/or) categories and feel just fine about it. It’s just… too easy. And we’re too lazy to stop. It’s comfortable. It’s incredibly difficult to be both/and. To be more wholistic in our approaches. But I’m tired of it in my own life. So, I’m not done. I’m not done with learning from Dr. King and sharing what I learn. I’m not done learning from great young leaders like Jemar Tisby and sharing what I learn. I’m not done reaching out and widening my circle of friends and learning from these new relationships so I can hear better and see with clearer eyes what the Spirit is doing. I’m not done. It’s not enough. We have far more to do. Previous postPaul’s letter to American Christians — Martin Luther King, Jr.